Manoj Chalam uses humor and personal anecdotes in his lectures and workshops to illuminate Hindu mythology. 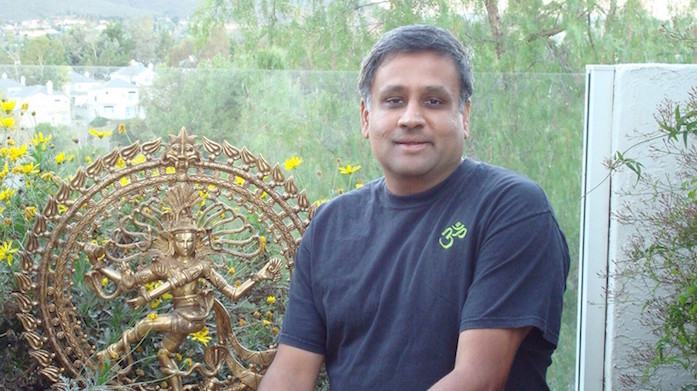 An Indian-born scientist with a PhD from Cornell University, Manoj helps individuals find their archetypes in Hindu Yogic deities and teaches the 4 ways to work with an archetype as a Vedantic practice. He has also compiled a book on the symbolisms of Hindu and Buddhist deities. Manoj presents workshops on Hindu symbolisms and Tantra at yoga studios, keynotes at festivals, ashrams, and universities. .Secret Symbolisms of Hindu Deities such as Ganesh, Shiva, Lakshmi, Saraswati, etc. Manoj will help you find your personal deity / Ishtadevata that helps you in your transformation that ultimately leads to Moksha or enlightenment. Using statues to illustrate, Manoj will relate the symbolism of Hindu and Buddhist deities to the archetypes within us. Through entertaining story telling, he will uncover their hidden symbolisms and learn the four ways to work with them as part of a spiritual practice.